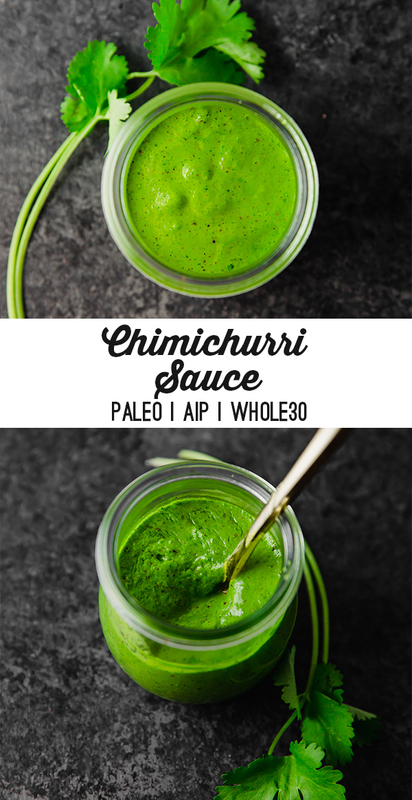 This chimichurri sauce is easy and delicious! It’s whole30, paleo, vegan, AIP, and nightshade free. 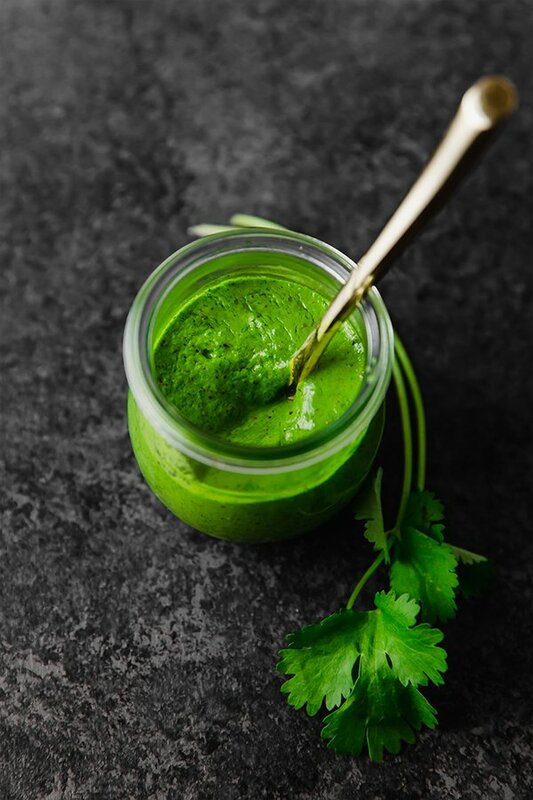 Have you ever had chimichurri? It’s an easy to make sauce that packs a serious punch on the flavor. It’s the perfect thing to throw together when you want a little something extra to jazz up your meal but don’t want to go through too much fuss. Plus, it’s packed with nutrient dense herbs and is basically equivalent to adding an extra veggie to your meal. Win, win! Chimichurri typically has chili in it, but I decided to make my own version that’s still flavorful and herbaceous but nightshade free! It tastes great on steak, seafood, and roasted vegetables. You can make this sauce over the weekend and it’ll keep for a few days in the fridge so you can have it throughout the week. The trick to making it last longer is adding a bit more oil on top and mixing it in when you’re ready to enjoy it some more. This keeps it from oxidizing and makes it easier to stir too. 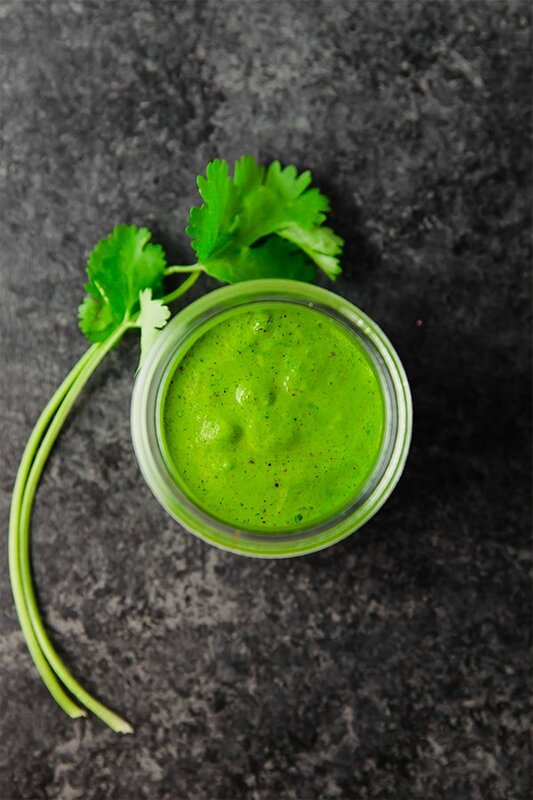 Fresh parsley is a mild flavor and great base for this sauce. 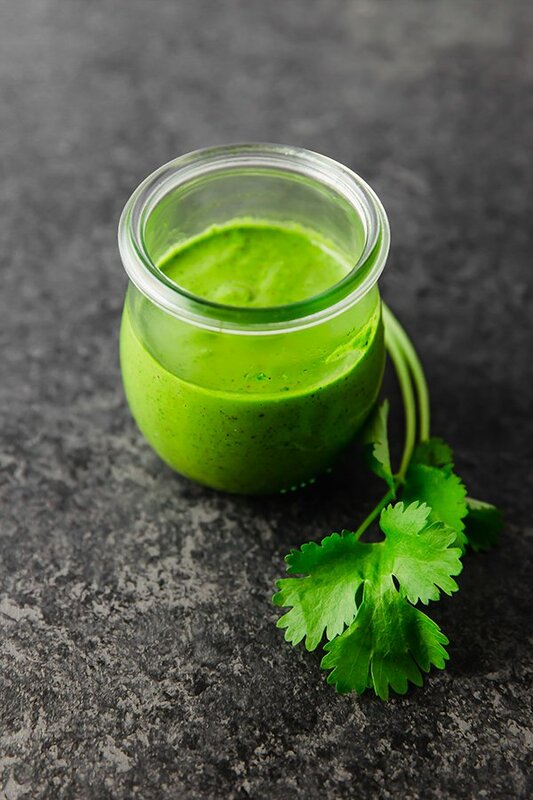 Cilantro is an acquired taste for sure, but there are a lot of flavors going on in this recipe and it’s not too cilantro forward. Basil adds more of that herbaceous flavor to this sauce. Traditionally, chimichurri is made with red pepper flakes. Since this is a nightshade-free version, this adds a little bit of a kick. You can also use avocado oil. I recommend finding a red wine vinegar without sulfites like this brand. Wash and roughly chop the herbs. Add all of the ingredients to a high-speed blender and blend until fully combined. Season further to taste and store in a glass container. To make the sauce last longer, add a bit more oil on top and mixing it in when you’re ready to enjoy it some more.